WisconSibs, Inc began in 1998. The nonprofit is located in the heart of the Fox Valley of Wisconsin. 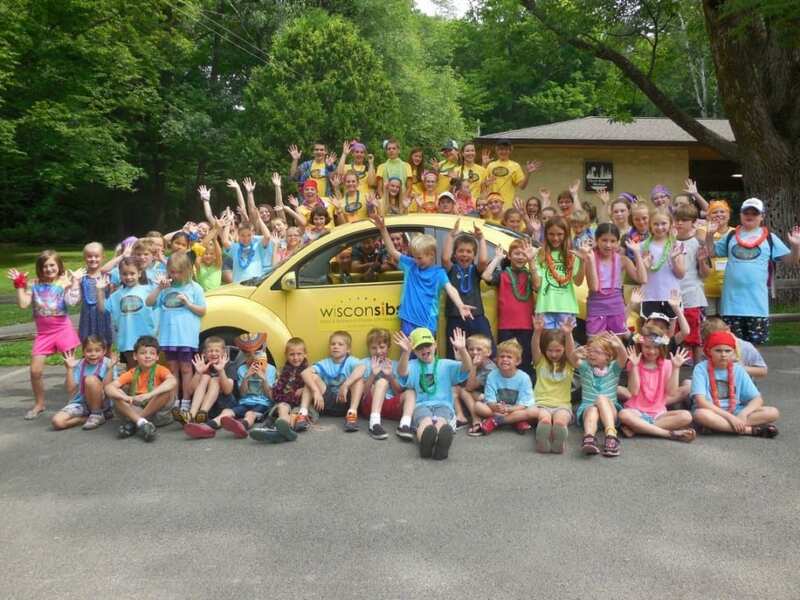 WisconSibs started there as the first organization in the country that organizes lifespan information, programming and support for children, teenagers, and adults who have siblings with a variety of disabilities. Harriet Redman, Executive Director and Founder of WisconSibs, has been the organization’s project manager, tester, client, and, with Ledgeview’s help, is now the Salesforce Sponsor. WisconSibs has grown from having a small number of siblings of people with disabilities in their former limited database, to now offering a wider arena of support. Peer support, education, social activities, future planning, camps and ongoing consultations are now pivotal features of their program. As the database of information they had collected grew through these installations, Redman began to notice a new need for WisconSibs – a modern database solution that would allow them to track and reach out to siblings in a more collected and organized fashion. What led the nonprofit to decide on Salesforce was a long time coming. Redman met with Ledgeview at the right time while they were both attending an Enterprising Nonprofits Conference in the region. When it came down to it, Redman saw the most potential with the organization she wanted and a solution that could fit her budget in Salesforce. Though when she was first introduced to it, she dismissed its potential, not seeing how they could make it work, Ledgeview Partners opened her eyes to the possibilities. After several discussions with Ledgeview, Redman realized the amazing truth – Salesforce offers eligible nonprofits a Success Pack that allows them to receive 10 subscriptions of Lightning Enterprise Edition at no cost to them through the “Power of Us” programs. 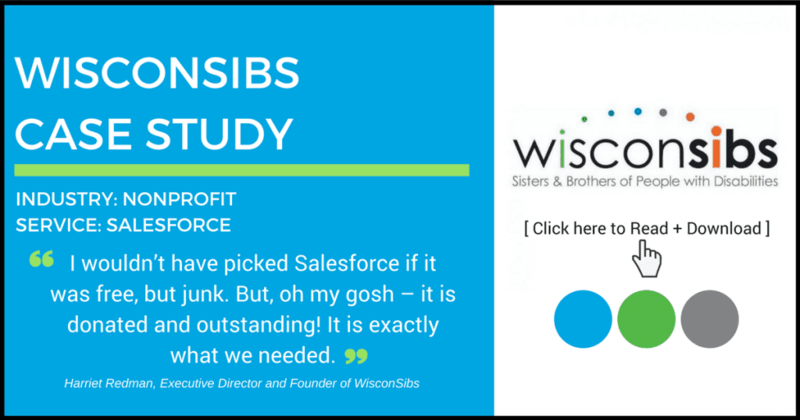 Find out how the Salesforce CRM Implementation process is going for WisconSibs since beginning their partnership with Ledgeview, and how they anticipate the CRM Solution helping them grow their database and programming in the future. Find out what Ledgeview can do for your nonprofit organization. Read more about our industry-specific experience here.